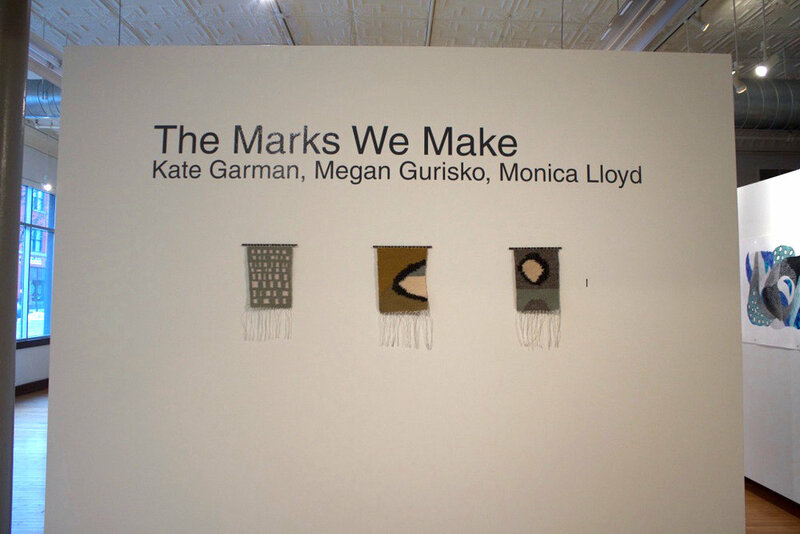 MMaK is a collaborative group of artists; Monica Lloyd, Megan Stone and Kate Garman. 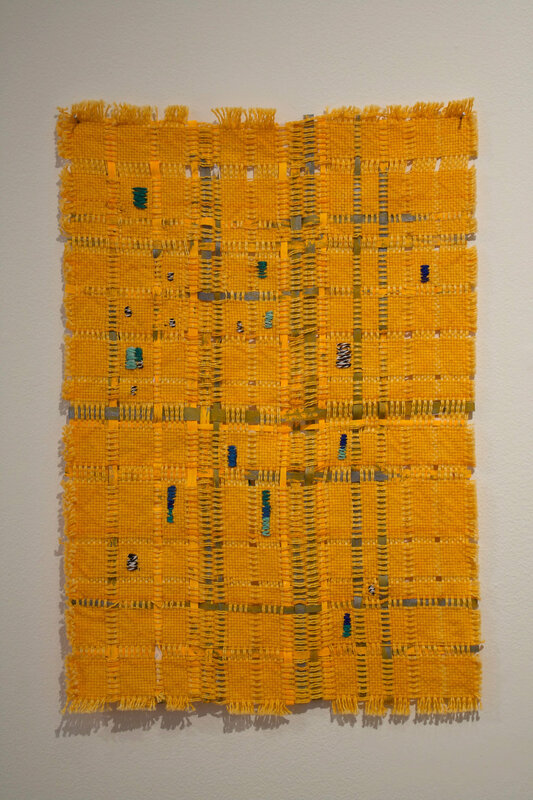 Meeting while in undergrad at Grand Valley State University, artists Megan and Kate first did a collaborative exhibition in 2015, titled Neon Borders. 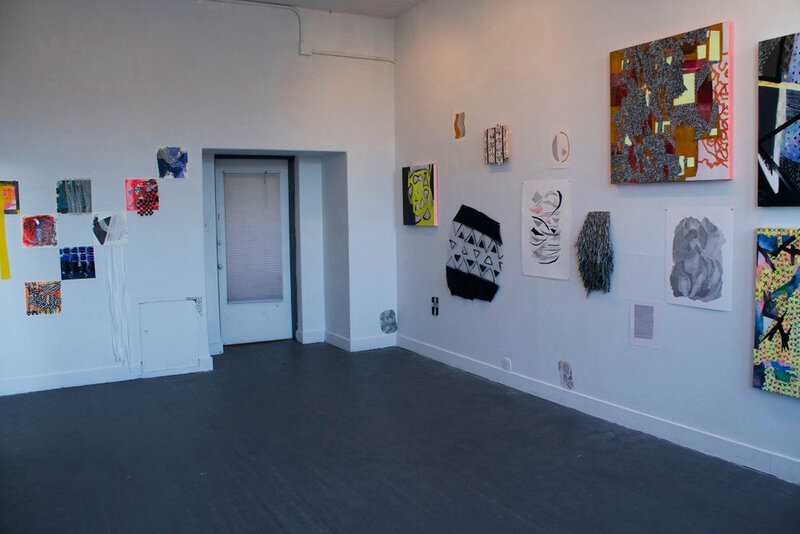 After that show, Monica joined the pair which lead to an exhibition of both personal and collaborative pieces between the three in 2016, titled The Marks We Make. 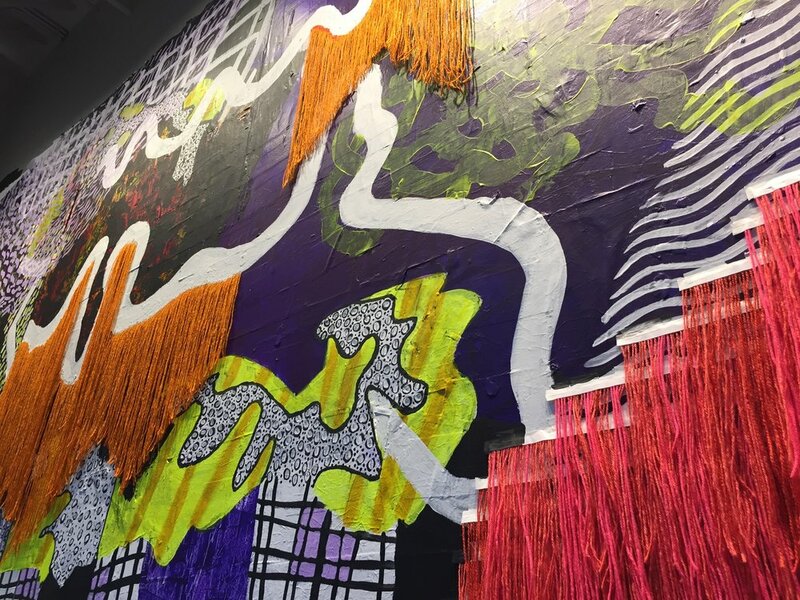 MMaK's latest piece is a collaborative mural at the Urban Institute for Contemporary Art in their Exit Space. 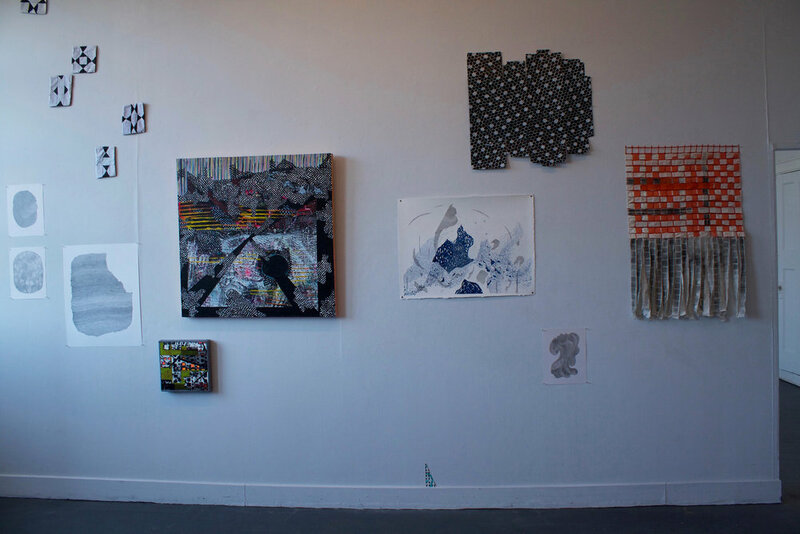 Stone’s paintings play with contrasting elements of color, shape, and pattern that are made with non-traditional tools such as scrapers, stencils, and found objects to manipulate the paint in new ways. 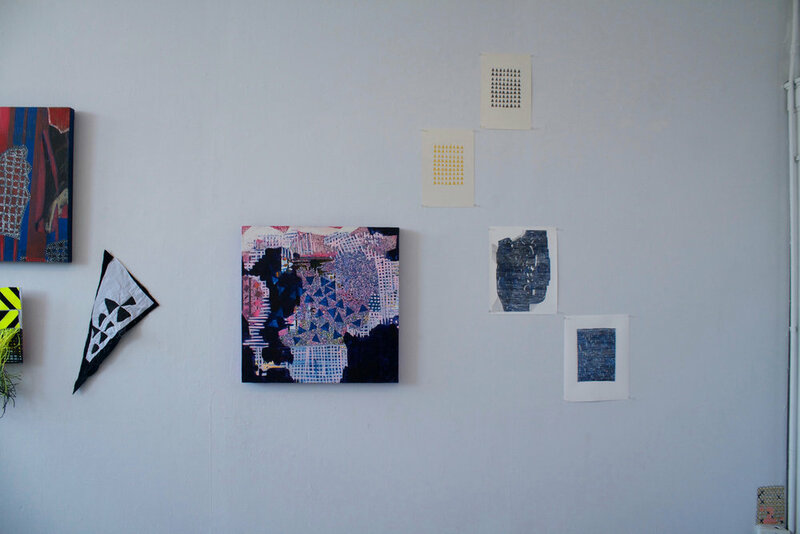 Her paintings on canvas act as portals into intersecting and overlapping spaces with object-like forms that are meant to challenge the viewer’s sense of space and familiarity. Sometimes a simple mark can feel like the heavy weight of a large object or dance across the image, weaving in and out. Every painting is made up of marks that are altered over and over until they convey the qualities of a form that the painting asks for. With the focus of creating something based on process, expressive gestures, the chaos of multiple layers and unexpected surprises are essential as the work transforms by playing with paint.